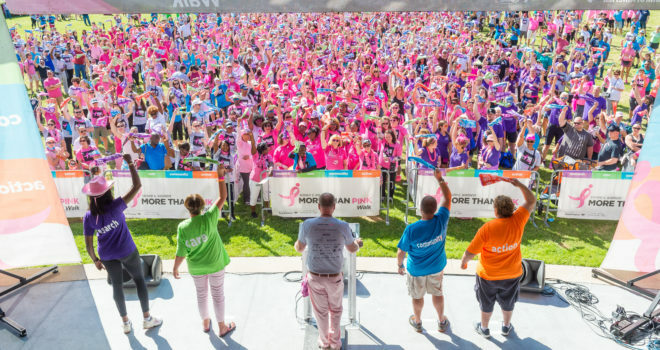 January 25, 2019 – Susan G. Komen Missouri told supporters today to expect some changes at its signature fundraising event this spring. Komen has been hard at work on the next evolution in the history of the Race for the Cure® series, and residents of the Greater St. Louis area will be among the first in the country to see it! Komen Missouri will be one of 26 locations across the country to launch the new Susan G. Komen MORE THAN PINK WalkTM. Along with a new name, the event will include a fresh new look and experience focused on energizing the community around the lifesaving work Komen’s supporters make possible. This new approach is based on input from participants across the country, data from nine pilot events in 2018, and by Komen’s own observations from years as the leader in breast cancer walks. 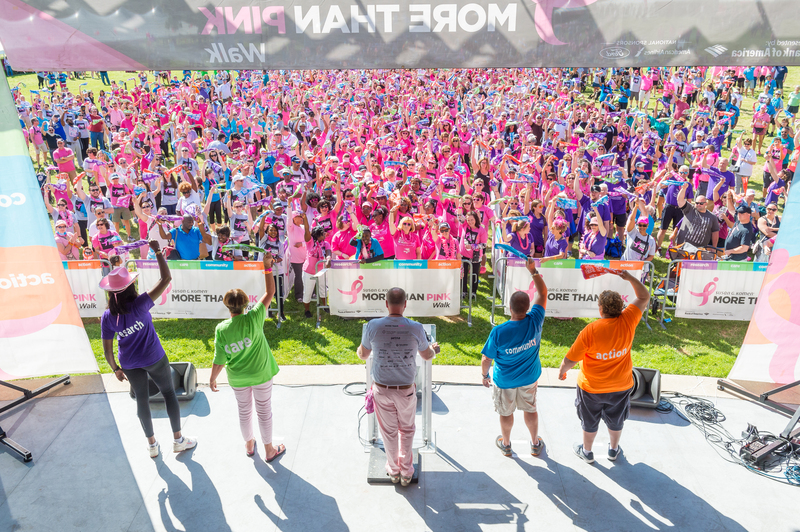 The biggest difference is that the MORE THAN PINK Walk will not have a separate timed run element, focusing instead on the vast majority of participants who historically walk during the event. This change will create a greater sense of community among participants and will provide a more personalized, emotional experience for all who attend. “We’re excited about this new chapter and encourage everyone to register and begin fundraising! We look forward to seeing everyone walking on June 8th for an inspiring day of community in support of all those living with breast cancer, celebrating those who have survived, and to remember loved ones we’ve lost to the disease,” added Fontaine. For more information on this event and what changes to expect, please visit us online at www.komenmissouri.org/STLwalk.